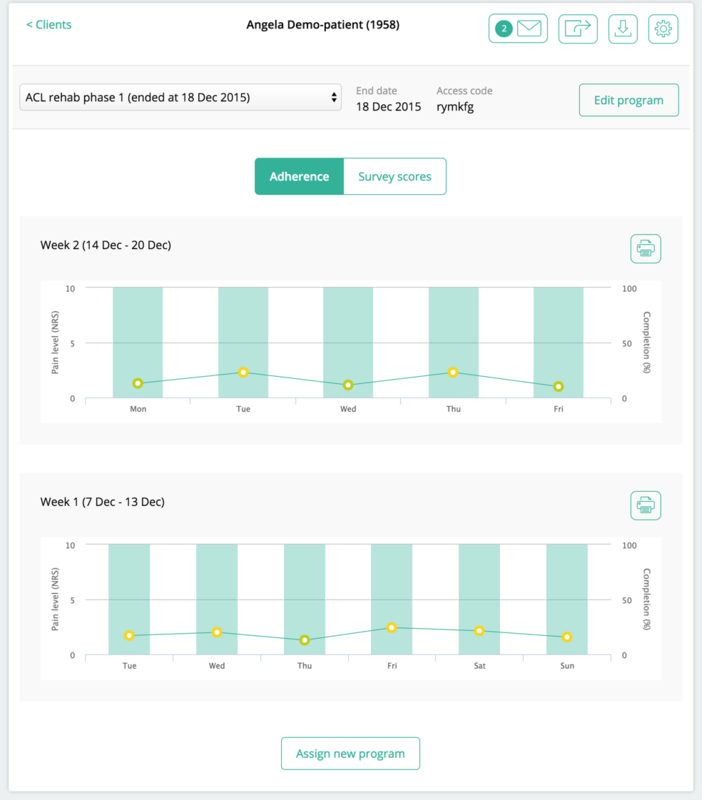 Physitrack has been designed to help save you time, improve the quality of home exercise programs that you give to clients, and receive actionable, quality client feedback which you can use to further improve client care. Log in to your Physitrack account, and then from the Clients page, click on the "+ Add client" button in the top right. 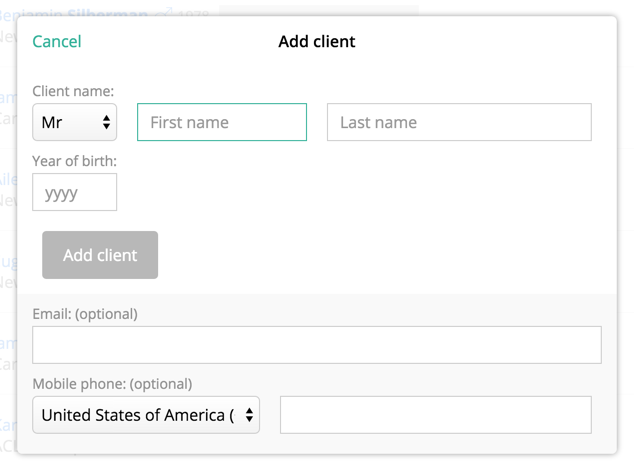 You'll then see the form to add your new client. The only required fields are first name, last name and year of birth. We're adding new integrations with patient management systems on a regular basis. Go to My account > Settings to see if your patient management system is listed. This means that you won't need to manually enter any clients at all, as they automatically get copied from your patient management system. After adding your client, you are taken to the Program Designer. 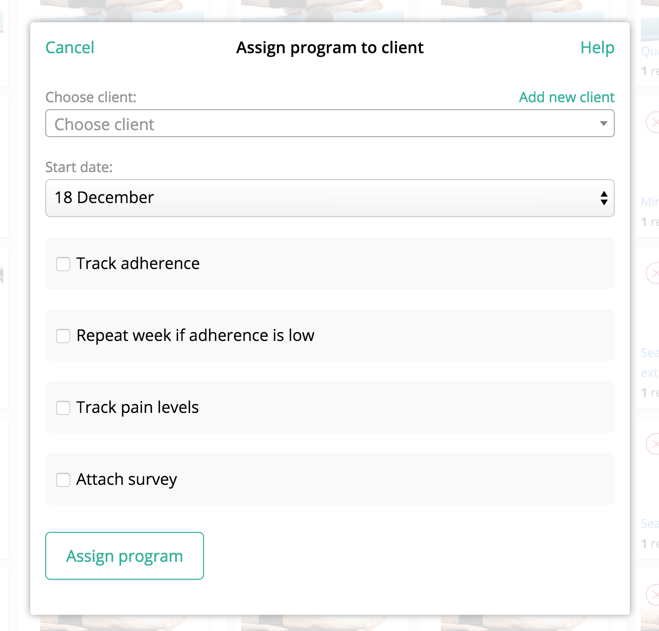 This screen lets you design and edit exercise programs to assign to your clients or save to your library. Click on the "+Add exercise" button. 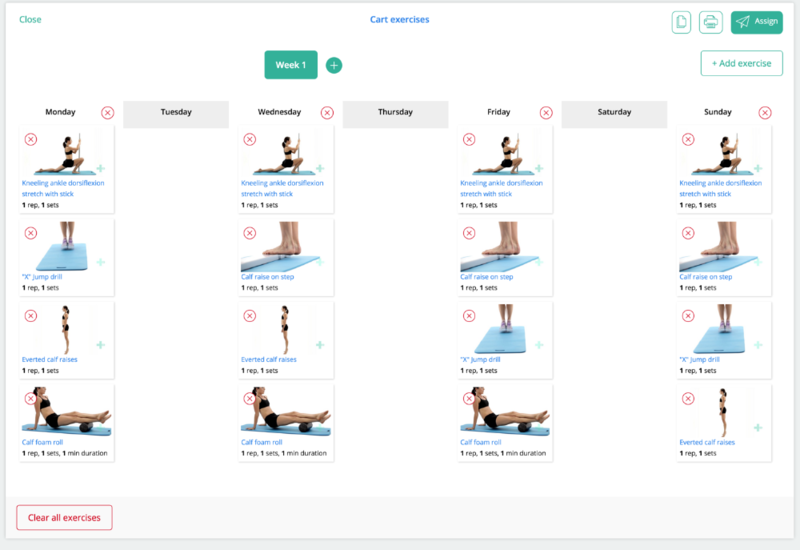 You are then taken to the Exercises page, from where you can select individual exercises to add to your client's program. Alternatively, click on the " Exercise programs" tab at the top of the page to add an entire pre-made exercise program to your client. The basket in the upper right corner displays the amount of exercises you selected. Our powerful program designer lets you design a wide range of exercise programs. To move and re-order exercises, simply drag and drop the exercise to where you want it. To edit the amount of sets, reps, and other parameters, click on the exercise name to open up the exercise window. From here, you can also add custom instructions. To rename the exercise program, click on the program name. To print a program, simply click on the print icon. Note that a program is not assigned to a client until you complete step 4 below. Tip: you can copy a program to your library for future reuse. Simply click the "Copy" button. Once you're done with the design of the exercise program, click the " Assign" button in the top right. This will open up the "Assign program to client" window, where you can change the settings for this exercise program. Note that you may have to select your client again in the list of clients. We will have a feature in place soon to, by default, select the newly added client. Once you've set the settings for this client's program, click "Assign program"
Your client will receive an access code to login or download PhysiApp, our app for your clients, available on web, iOS and Android (free). Note: your client will need to know his access code to access his program. If you've entered the client's email address when adding the client, the access code was just emailed to him. Otherwise, you will need to write down or email the access code to your client. 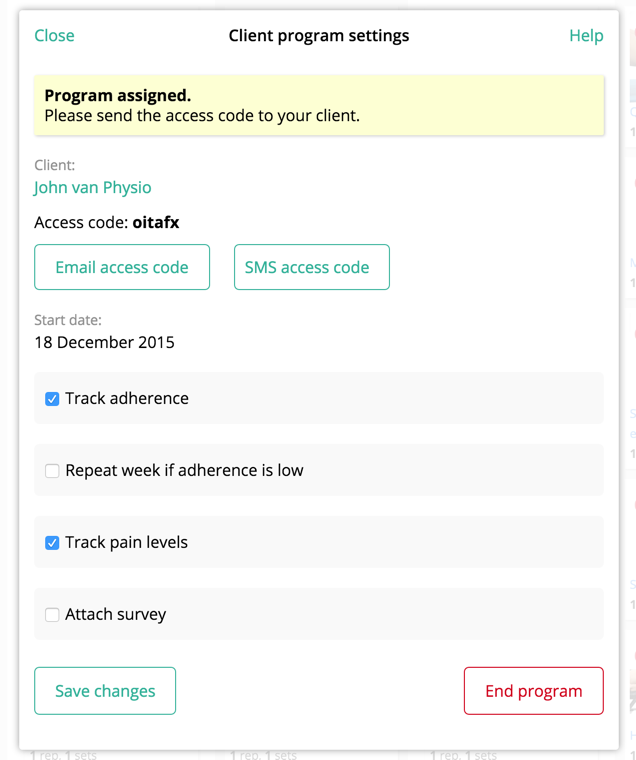 Physitrack not only saves you valuable time in creating, designing and re-using exercise programs, but also allows you to track your clients' adherence, pain levels and survey outcomes. To see client outcomes, simply go to Clients and select the client whose outcomes you want to review.